How do I remove the controls and timer within a GoVideo recording? Vidyard GoVideo will default to showing a timer and recording control box in the bottom corner. 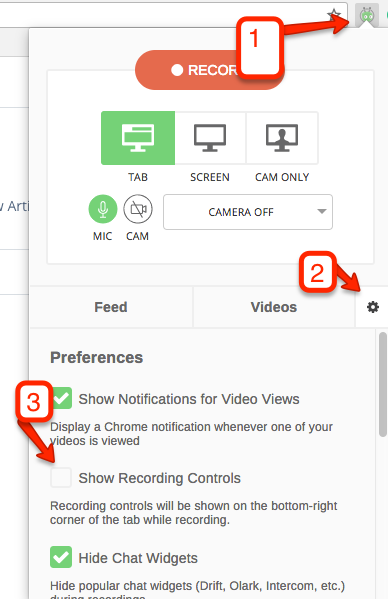 3) Then uncheck "Show Recording Controls".